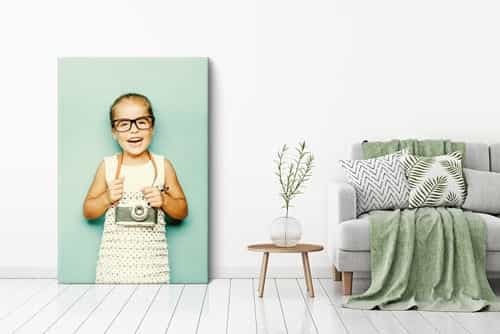 Your photo or any image on a large canvas print is really impressive and much cheaper than you think. For example, a large 90 x 120 cm canvas print only costs £74. Our print quality is amazing and our canvases very durable. 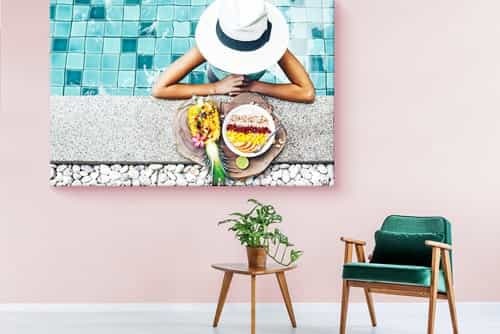 A large canvas print sets the atmosphere in your living room and will never go un­no­ti­ced. 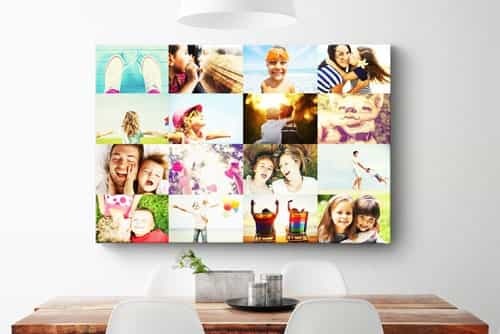 This could be this wonderful sunset picture you took while on holiday, a photo of your children or of the love of your life displayed on the wall. Or a beautiful painting reproduction? 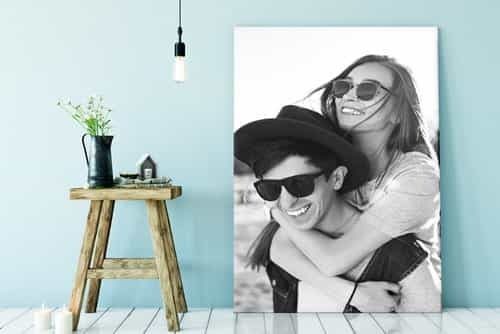 Perso­na­lise your interior in the style you want with a beautiful large canvas print from HelloCanvas! Our large canvas prints are mounted on a 3 cm thick wooden frame using the best canvas quality on the market. We can make your canvas print by hand in any bespoke size accurate down to the cm. Click on the tab "Prices and Sizes" for calculating the price of the format you would like to order. 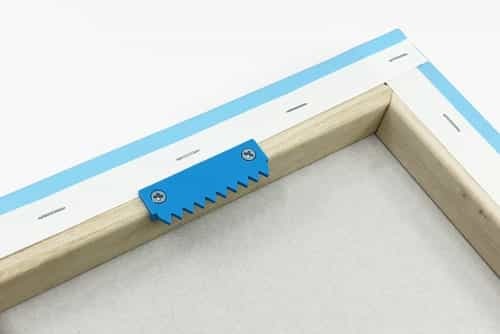 The biggest canvas sizes we can supply are 70 x 160 cm, 80 x 150 cm and 90 x 140 cm. We are the largest web­site in the United Kingdom for canvas prints and have already sold more than 4 million canvases! Your photos or images are therefore in good hands! Do you still have any questions on our large canvas prints? Don't hesitate to contact us, it is our pleasure to help you!